The fact that the more acclaimed Metroidvania releases as of late have incorporated an intriguing and in some places unique visual flair — Axiom Verge, Ori & The Blind Forest, Owlboy, SteamWorld Dig 2 and Hollow Knight to name a few — will likely be deemed purely coincidental, but it could lead you to assume that this particular asset is mandatory. The pinnacle deciding factor, rather than something unexpected yet welcome. Of course, artistry will always be more resonant than technically-competent visuals, but perhaps it’s wiser to assume that we just might be in a fortunate period as of late wherein one of the most resurgent genres in video games has had a variety of aesthetics and artistic directions to match its (in these cases) wonderfully-delivered conventions of exploration. When a game manages to bring forth an entirely new gameplay mechanic, however, then things start to get interesting. 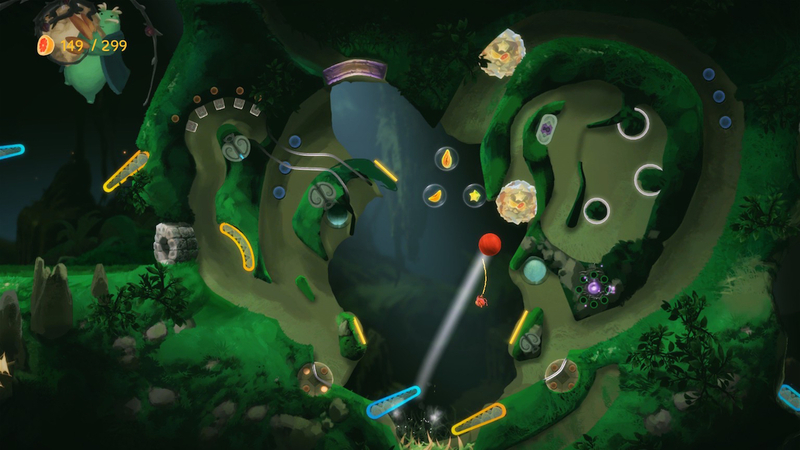 Developer Villa Gorilla’s rendition on the genre in Yoku’s Island Express instead chooses to focus its admiration for the side-scrolling explorative delights — of one of independent gaming’s most cherished (or saturated depending on one’s perspective) genres — on its rather quirky, all-encompassing gimmick that is its fusion of pinball into proceedings. Everything from jumping, to exploring, even combat (albeit as loose a definition you can attach) revolving around the game world’s many two-colored flippers, pipes, metal railings and curving, subterranean tunnels alike. 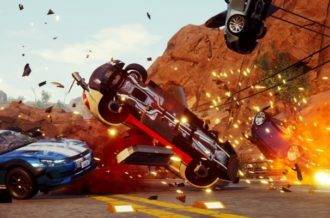 An odd choice, on initial glance, and you’d be forgiven for thinking something as static and as repetitive as pinball couldn’t find a place to tuck itself amidst the many delightful experiences the genre has given us in these past few years alone. Needless to say, Villa Gorilla pull this unconventional fusion of pinball and explorative-platforming off to tremendous effect. Regardless of how frustrating these segments can be — particularly when it comes down to measuring the exact position and angle with which to activate a given flipper — it takes nothing away from how genuinely enjoyable these compartmental moments are and,surprisingly doesn’t let up from start to finish. Similar to a game like Superhot, Yoku’s Island Express refuses to drastically shake up its primary formula and is all the better for it. Introducing small accompaniments and careful tweaks when it needs to, in some cases making time as critical an objective as positioning. Even if that satisfaction does come at the cost of seeing poor Yoku flung all over the place, even take an almighty plunge at times — deliberate or otherwise — part of the glee with Yoku’s Island Express is in this very trial-and-error approach to puzzle-solving and exploration in general. Or at the very least, seeing the interactions unfold in, at times, bizarre ways. The gameplay controls themselves are a simple affair; in the case of the Nintendo Switch version, either bumper color is activated via the simple tap of one of two shoulder buttons with the analog stick controlling Yoku himself, whom remains glued to the ground outside of flipper/bumper influence and is otherwise lacking in any real beneficial abilities other than simply rolling his trustee ball around the place. As basic this set-up is, Yoku’s Island Express is actually more complex and deeper than what it initially lets on but it’s this clever illusion of simplicity that gives the latter puzzle-solving and sequences that greater air of wonder and satisfaction to conquer, let alone discover. 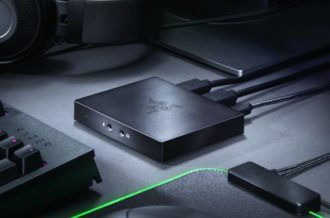 Granted there will usually be one solution or route in or out of proceedings (minus any hidden troves or secrets to uncover) but it takes nothing away from the satisfaction of seeing/having Yoku thrust down that one avenue or reach that one switch. No matter how annoying some puzzles can be, the elation of finally nailing that desired target seldom wanes. Admittedly the game does let its experimentation in exploring slip when a not-so-subtle invisible wall supposedly wrestles control back, forcing one and only one form of outcome. 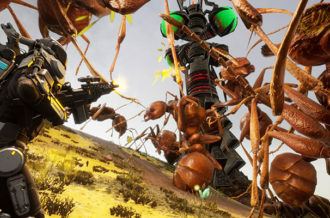 Another slight criticism crops up when the game does overstep the mark on traversing the world itself in getting to a particular, crucial point. One notable example is in the later snowy reaches, requiring a myriad of lassos to be chained together whereby missing one sends you tumbling down to start the sequence all over again. Even so, these complaints are as much insignificant as they are temporary — Villa Gorilla getting that perilous balance of challenge/difficulty spot-on nine times out of ten. All the while, similar in vain to something like Celeste, continuously adding to the template in neat and entertaining ways without deviating too wildly from the core, pinball principles. Making sure, above all else, to constantly offer (even tease) its player with a collectible here or another useful dishing out of fruit (the currency which activates additional, in some cases crucial, flippers) there to assure them that they are indeed making progress. A small but important positive being that there is always opportunity to gather more fruit with stand-alone pinball sections often allowing you to refill your counter with ease, but not sacrificing the necessary need for accomplishment in the process. The addition of side-quests, though not as grand in spectacle, are a nice accompaniment nonetheless and another avenue with which to deviate toward should you stumble upon a bumper you can’t, for the moment, unlock. Again, another great balancing act Villa Gorilla execute in providing enough of an incentive without coming off too charitable or otherwise dismissive of a player’s own intuition. 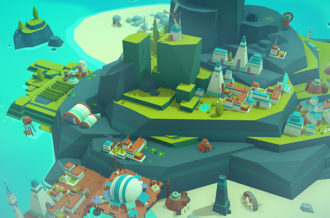 It’s not long then before the main quest — the story-led missions — become almost an afterthought and the enticing pull to freely mess about with the physics and momentum-based rule-set (to stray from the main path out of humble curiosity as to where a peculiar chute or row of bumpers may lead you) starts to become the norm. The fact the game doesn’t directly shunt or dictate the necessity for completing the main quest right there and then is a welcome note and it only helps the world, this lush children’s picture book-esque aesthetic and artistic design, to dazzle more so. There’s an incredible amount of charm to the way the NPC designs — even its soft, pastoral, hand-painted styled visuals — flourish to life, be it the bowels of a cave or purely the bottom of a waterfall. Aided in part by the smile-inducing gobbledeegook of the island inhabitant’s dialogue and more so, the subtle presence of the downtempo soundtrack. One that, while not as prevalent as the visuals, do add to the explorative motif. One of the most interesting aspects of Yoku’s Island Express overall is in its consideration for the genres it so obviously attaches to and how it interestingly decides against simply relying on said tropes. 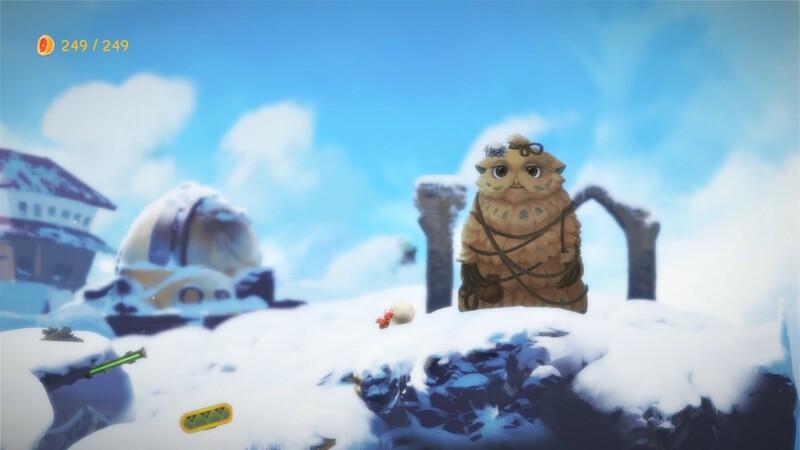 There is of course the Metroidvania standard in that previously-inaccessible areas slowly open up upon the acquiring of a new item — with optional collectibles dotted about, often requiring you to make best use of your arsenal around the game’s latter parts — but the fact is Yoku’s Island Express doesn’t necessarily feel like a Metroidvania in essence. 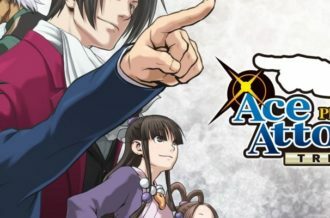 Instead taking these cues in creating an intriguing hybrid of such with the more traditional, perilous platforming influences that offer a refreshing call-back to 90s platforming rather than its more contemporary affairs we see by the dozen nowadays. As a result, the pinball-centric premise becomes the focal point and coupled with the way these mechanics slowly build and develop overtime, the game manages to keep feeling fresh and exciting right up to the inevitable final boss encounter. 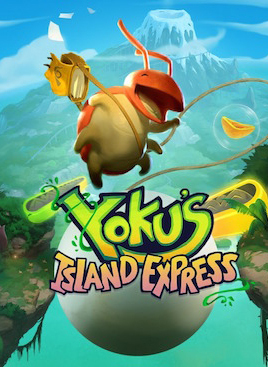 For as many great, engaging or immersive outings we’ve already been treated to in the past few years with this genre, Yoku’s Island Express can now be added to that same list of essential efforts with an identity that is all its own. One that doesn’t lean too heavily on the tried-and-tested conventions of either the platformer or Metroidvania philosophy and is all the better because of it. 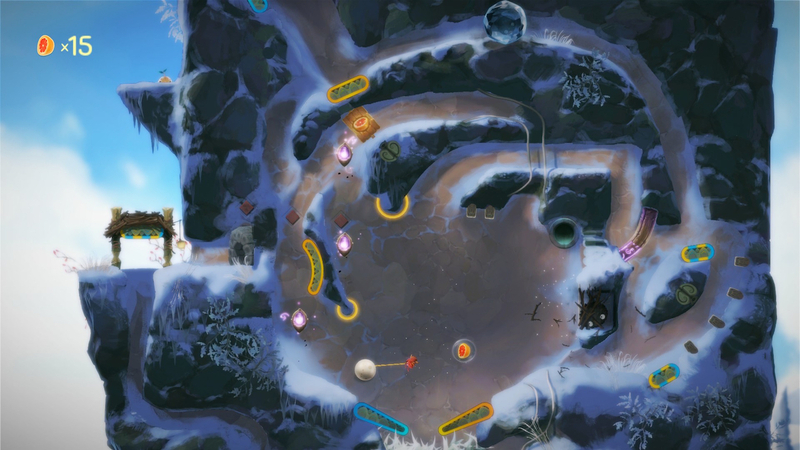 With its charming and unique pinball mechanics that get subtly, cleverly more complex and elaborate the further you progress — as well as a charming art-style present in its environments and characters alike — what it lacks in some grandiose narrative or punctuating tone, Villa Gorilla more than make up for with a gameplay loop that excels on its originality — garnering a wide smile to one’s face in the process. 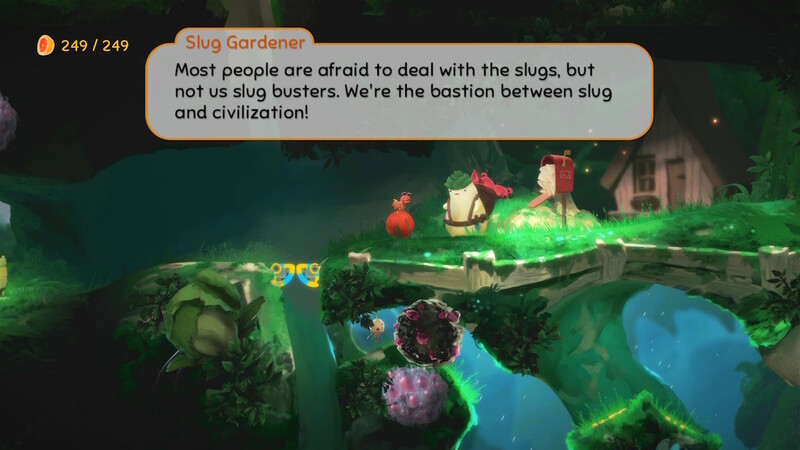 Nailing its gameplay, aesthetic and overall execution, Yoku’s Island Express is one of the most delightful games you’re likely to play all year.